It’s a funny thing how you can go years and never give the grout in your tile floors, kitchens, and bathrooms a second thought. Then one day for no reason in particular your wandering eye just happens to notice a stained patch of grout, and then another … you realize that while your tile still looks great … the grout that separates the tiles is stained and discolored … and greatly detracts from the overall appearance of your tile surface. 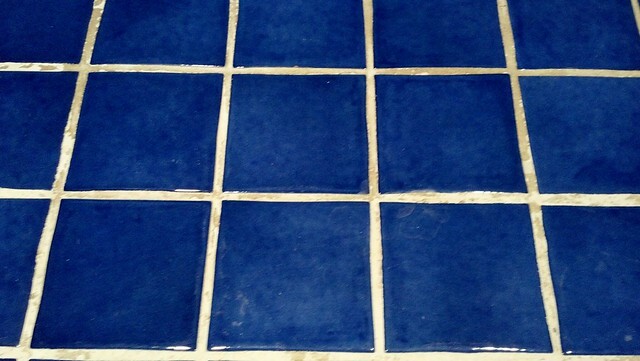 Before … Dirty, stained grout detracts from the appearance of this blue tile flooring. 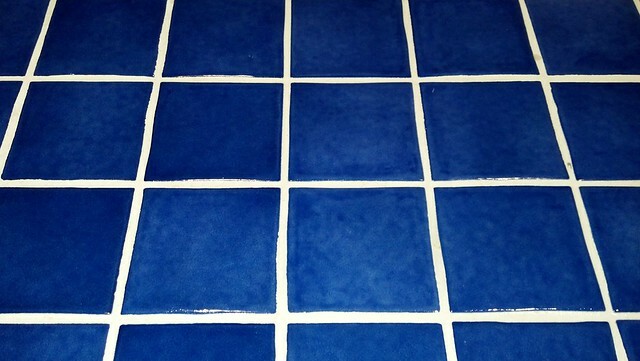 GroutShield color seal makes your grouted tile surfaces look like new again!!! After … GroutShield Colorseal returned the grout to it’s original sparkling white color, and will protect it from stains in the future as well! 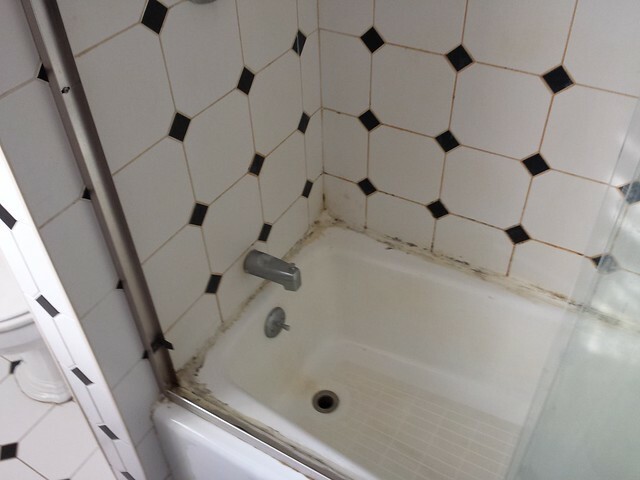 In the bath area of a home stained grout surfaces can be particularly disturbing! Conversely, clean unsoiled grout always gives the appearance of a hygienic, well cared for living area. Grout Shield products are designed not only to beautify the area, but to seal it, and protect it from being stained in the months to come. Grout is a porous material, it naturally soaks up anything it comes in contact with. Grout Shields Color Seal effectivel fills these “pores”, leaving behind an easy to maintain surface, in the specific color of your choice. 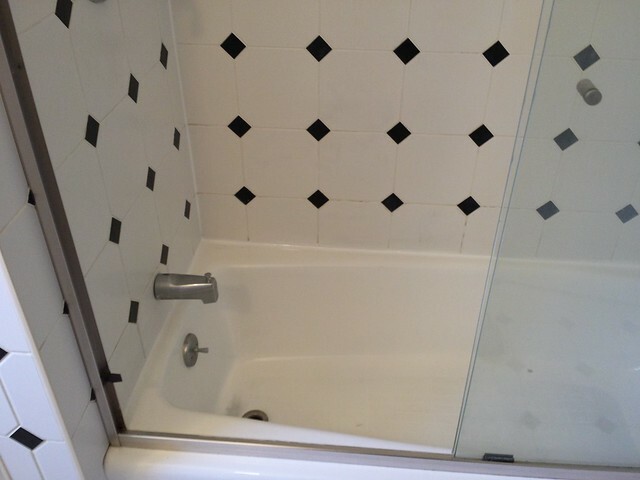 After GroutShield Colorseal the tub looks as good as new!! !